enjoy a wider range of alcoholic beverages at lower prices; and it harms the North Carolina economy as a whole that would otherwise be growing at a faster rate. 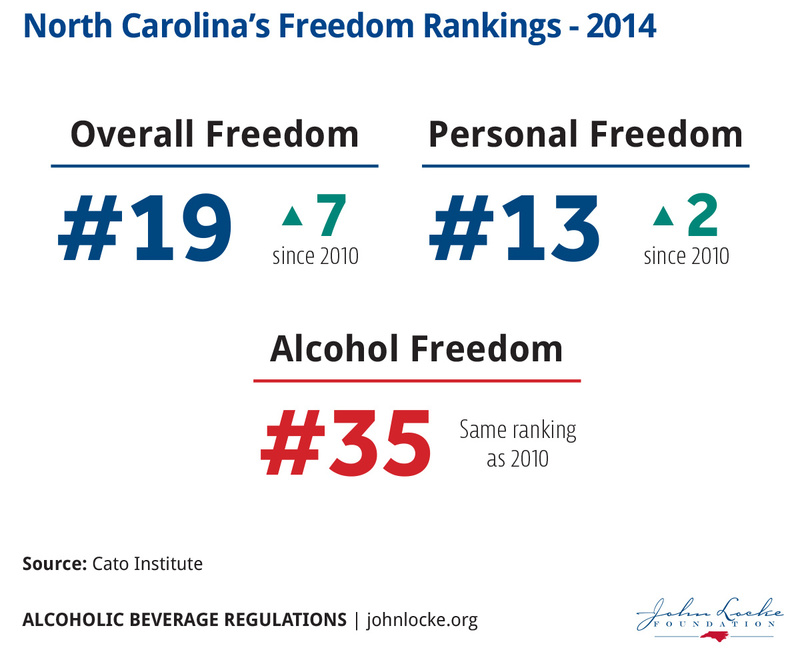 If we truly want North Carolina to be “first in freedom,” we need to reduce the burden that excessive regulation places on the production, distribution, and sale of alcoholic beverages. When it was originally put in place, the regulatory regime that governs the production, distribution, and sale of alcoholic beverages in North Carolina was presumably supported by an alliance that included — not just metaphorically but literally — bootleggers and Baptists. Nowadays, while some Baptists no doubt still take an interest in alcoholic beverage regulation, they are joined by a broad spectrum of concerned citizens who, regardless of their religious affiliation, worry about the harm that alcohol abuse inflicts, not just on the abusers themselves, but also on their families and on society as a whole. As for the bootleggers, their role is now filled by government bureaucrats, wholesale distributors, large brewers and distillers, and other interest groups who benefit from the regulation of alcoholic beverages. Of course, even the threat of criminal sanctions does not always stifle the entrepreneurial spirit completely. Robbie Delaney, who runs the Muddy River Distillery in Belmont, North Carolina, likes to point out that, whereas in Kentucky entrepreneurs created a billion-dollar industry based on the legal production of whiskey, in North Carolina entrepreneurs created a billion-dollar industry based on its illegal distribution.8 Where the threat of prosecution failed, however, a government enforced monopoly has succeeded. Bootleggers no longer dominate the liquor business the way they did in the days of NASCAR’s origins. Instead, the state-run Alcoholic Beverage Control Commission exercises virtually complete control over distribution and retail sales. three-tier system of producer/distributor/retailer protects the big producers by giving small producers a powerful incentive to stay small. The Olde Mecklenburg Brewery is walking away from its $130,000 investment in the Triad — just a year after expanding into that market. 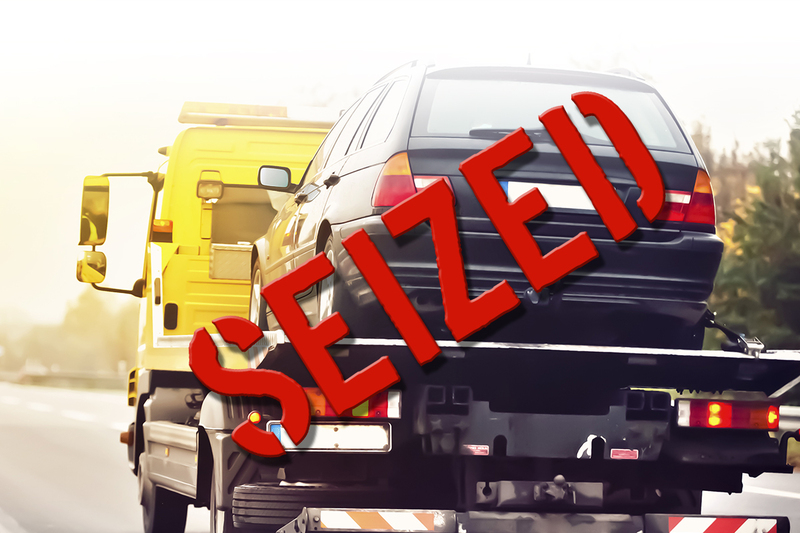 The law makes it frustrating, but necessary, to leave that market, says Ryan Self, director of sales. Dealing with this complex regulatory regime isn’t a problem for the large producers, distributors, and sellers. They have compliance officers and lawyers who are intimately familiar with the regulations — indeed, in many cases they helped write them — and they have long-standing relationships with the staff of the regulatory and enforcement agencies. For small-time entrepreneurs who want to enter the market for the first time, however, the regulatory regime constitutes a huge barrier. It’s very difficult for them to become familiar with the entire body of laws and rules, let alone acquire the expertise and contacts that are needed in order to deal effectively with all the relevant agencies. Some of them try and fail, and some of them never try at all. 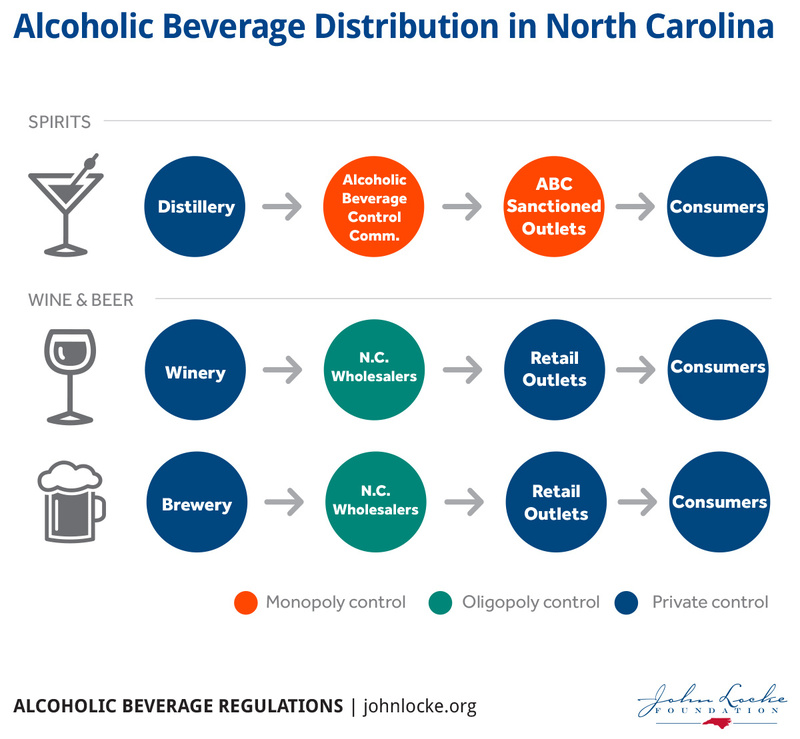 Support for the existing system of alcoholic beverage regulation will undoubtedly remain strong in North Carolina. The “Baptists” — i.e., the concerned citizens — will continue to support the system because they believe (wrongly) that it protects society from the harms associated with alcohol abuse. The “Bootleggers” — i.e., the government bureaucrats, wholesale distributors, large brewers and distillers, and other interest groups that benefit from the regulations — will continue to support the system because they believe (rightly) that it protects their jobs, their power, their investments, and their profits. Given this strong, ongoing support, it will not be easy to reform the stiflingly repressive regulatory regime that governs the production, distribution, and sale of alcoholic beverages in North Carolina. Nevertheless, there are some hopeful signs. 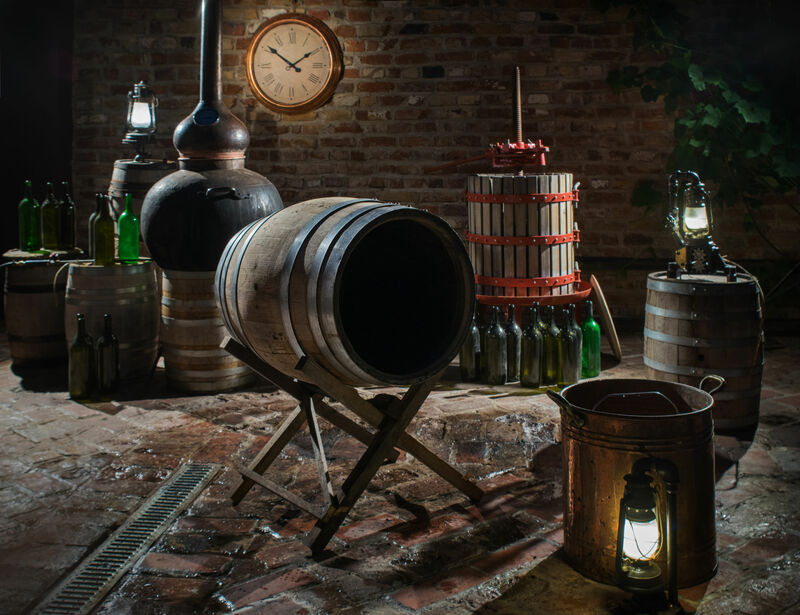 A new generation of sophisticated consumers is demanding more variety and more quality when it comes to alcoholic beverages, and a new generation of entrepreneurs has emerged to serve them. The entrepreneurs, of course, are well aware that the existing regulatory regime protects the big companies at their expense, and they are starting to push back politically.32 More surprisingly, many of the consumers are also aware of the problem, and they too are becoming politically active.33 In short, there appears to be an emerging coalition of consumers and entrepreneurs that is willing and able to oppose the long-standing alliance of established businesses and concerned citizens. Whether the beer lovers and brewers can be as effective in the future as the bootleggers and Baptists have been in the past remains to be seen. However, similar coalitions of consumers and entrepreneurs have had a number of notable successes with regard to federal Internet regulations and municipal ride-share regulations in recent years, and, perhaps more pertinently, similar coalitions have also had a number of notable successes with regard to alcoholic beverage regulations. In 2011, a coalition of consumers and entrepreneurs persuaded voters in Washington state to approve an initiative privatizing the state liquor monopoly;34 in 2012, a similar coalition persuaded the Connecticut legislature to repeal the state’s ban on Sunday sales;35 and just this year, yet another similar coalition persuaded the U.S. Supreme Court to overturn state laws banning the direct interstate shipment of wine to consumers.36 Let us hope North Carolina’s emerging coalition of beer lovers and brewers will turn out to be as effective as these other coalitions of consumers and entrepreneurs have been. 1. William P. Ruger and Jason Sorens, Freedom in the 50 States (Washington DC: Cato Institute, 2016), 220; http://www.freedominthe50states.org/overall/north-carolina. 2. Adam Smith and Bruce Yandle, Bootleggers and Baptists: How Economic Forces and Moral Persuasion Interact to Shape Regulatory Politics (Wash. D.C.: Cato Institute, 2014). 4. N.C. Gen. Stat. § 18B-101(14). 5. N.C. Gen. Stat. § 18B-800(a). 6. N.C. Gen. Stat. § 18B-102. 7. Personal communication with Robbie Delaney, owner of the Muddy River Distillery, 1500 River Dr., Belmont, NC 28012. 8. 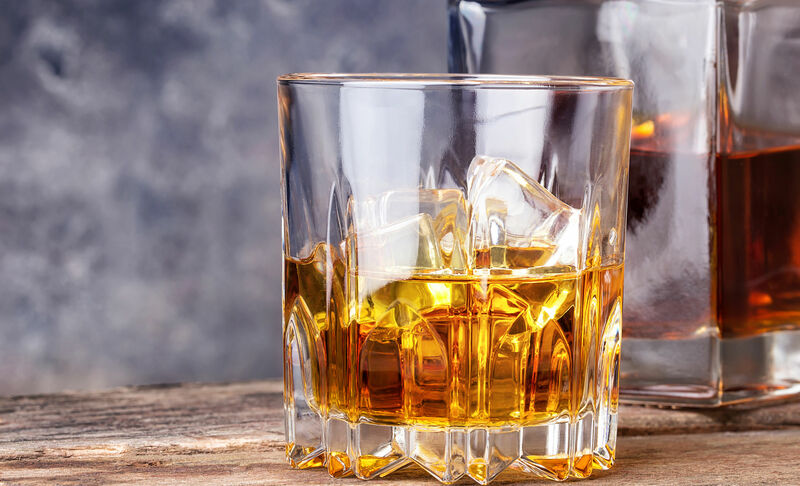 According to the National Alcoholic Beverage Control Association, “Seventeen states … control the sale of distilled spirits … through government agencies at the wholesale level. 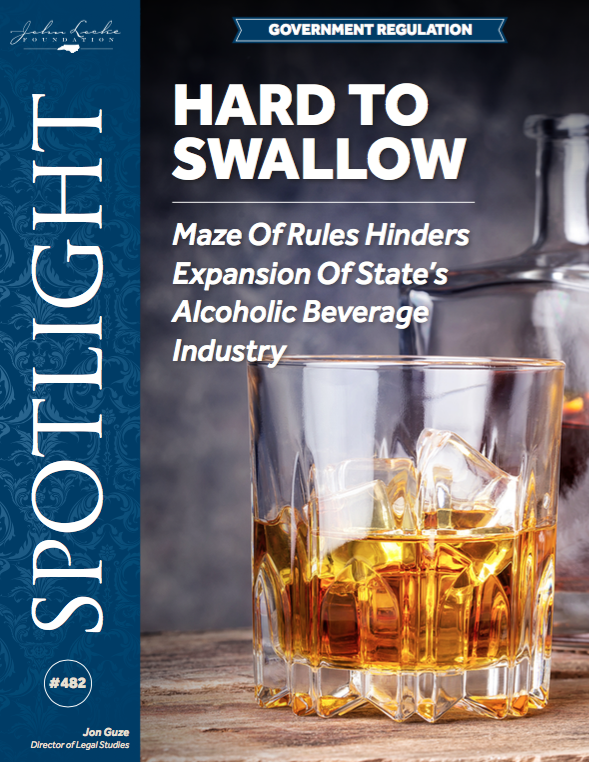 Thirteen of those jurisdictions also exercise control over retail sales for off-premises consumption; either through government-operated package stores or designated agents.” http://www.nabca.org/States/States.aspx. 9. Michael LaFaive and Antony Davies, “Alcohol Control Reform and Public Health and Safety” (Mackinac for Public Policy, 2012). 10. N.C. Gen. Stat. § 18B-802; N.C. Gen. Stat. § 8B-804; N.C. Gen. Stat. § 18B-203(a)(5). 11. N.C. Gen. Stat. § 18B-102. 12. Jennifer Thomas, Charlotte Business Journal, Jan. 29, 2016. 13. Classical Liberals of the Carolinas, Annual Meeting, Charlotte, N.C., Aug. 11, 2016. 14. N.C. Gen. Stat. § 18B-100, et. Seq. 15. 14B N.C. Admin. Code 06A.0101, et. Seq. ; 14B N.C. Admin. Code 15A.0101, et. Seq. 16. N.C. Gen. Stat. § 18B-902(d). 17. 14B N.C. Admin. Code 15B.0108. 18. 14B N.C. Admin. Code 15B.0205; 14B N.C. Admin. Code 15B.0102(e). 19. N.C. Gen. Stat. § 18B-902(h). 20. 14B N.C. Admin. Code 15B.0227. 21. 14B N.C. Admin. Code 15B.0223. 22. N.C. Gen. Stat. § 18B-1005(a)(4). 23. N.C. Gen. Stat. § 18B-1006(a). 24. N.C. Gen. Stat. § 18B-1114. 25. N.C. Gen. Stat. § 18B-105. 26. 14B N.C. Admin. Code 15A.1893; 14B N.C. Admin. Code 15B.0106. 27. N.C. Gen. Stat. § 18B-1114.6(c). 28. N.C. Gen. Stat. § 18B-304. 29. N.C. Gen. Stat. § 18B-1001(15). 30. N.C. Gen. Stat. § 18B-308. 31. For example, Scott Maitland, whose Top of the Hill Restaurant in Chapel Hill was one of the first micro-breweries in North Carolina, has complained to the N.C. legislature about the negative impact that unreasonable regulations have had on his new TOPO micro-distillery. See, https://www.youtube.com/watch?v=dz6GIBK-jIw. 32. For example, a group of young moviemakers is attempting to crowd-fund a documentary called “Free Beer” that will call attention to the 25,000-barrel distribution cap and explain how it hurts the small, independent brewers that make the craft beer they love. See, http://www.freebeernc.com/about. 36. This Spotlight is adapted from a paper that was originally presented at the annual meeting of Classical Liberals of the Carolinas in Charlotte, N.C., on Aug. 11, 2016. Hunter Markson helped with the research when he was an intern at the John Locke Foundation in the summer of 2016.